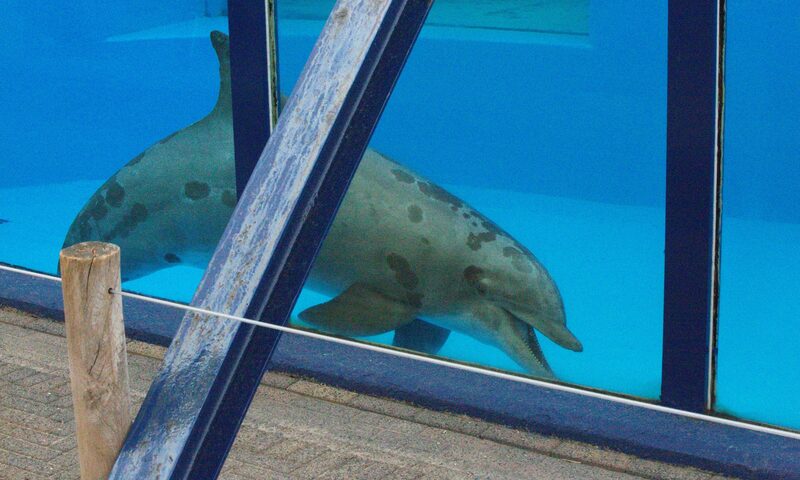 A bottlenose dolphin in captivity in France. Note the damage to the ends of both jaws. 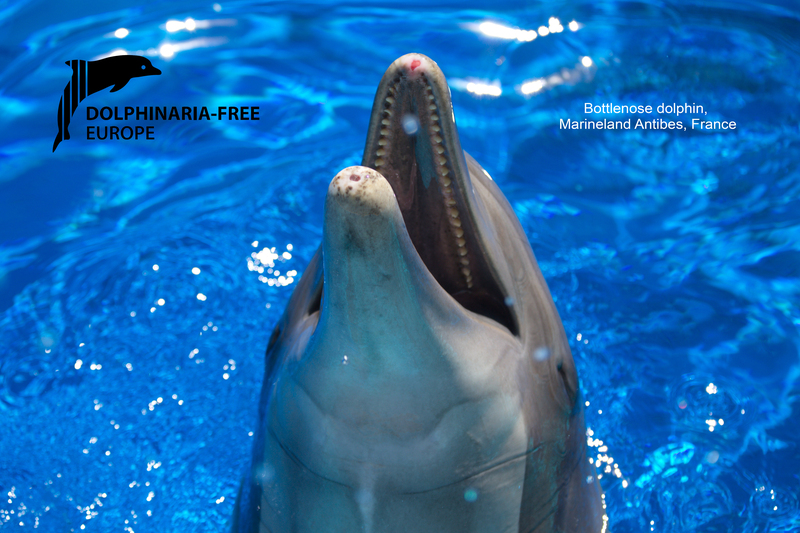 Dolphinaria-Free Europe is a coalition of NGOs (non-Government Organisations) and professionals, working together to end the keeping of cetaceans (whales, dolphins and porpoises) in captivity, in Europe. Whilst working towards this goal we also seek greater protection for those cetaceans still held captive, through investigation, advocacy and education. Members of the coalition share the position that wild animals should not be exploited for human entertainment.